Here it is July 1st and the world did not end with Google Reader. The thought of waking up with no followers had me more worried that Y2K (remember that craziness). 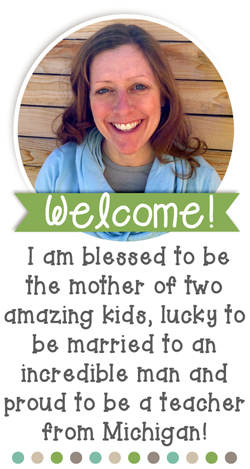 So, thank you for sticking with my blog and/or stopping by to visit! As I was packing up my room for the summer, I reorganized all of my word work games. I would love to show you a picture of the shelf that all of my games go on, but they move every piece of furniture from our rooms into the hallway for the summer. Which means I used a whole forest full of bulletin board paper and 3 rolls of masking tape to cover up every shelf so those little dumplings who use our building for camp during the summer don't sneeze on, touch, look at or breathe near any of my precious belongings. Most of my games are stored in photo storage boxes. I buy them for about $2 each at JoAnn Fabrics with my coupons/teacher discount. I like them because they are clear and I use clear packing tape to attach the title and/or directions to the lid of the box. My students have been using them for about 5 years and not one has ever broken (so far). Here are a few pictures of one of my games in one of my photo storage boxes. 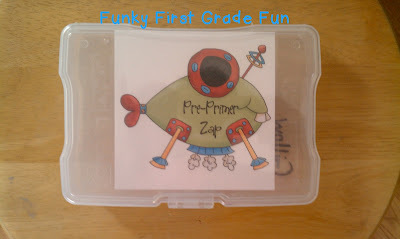 This game is from my Alien Zap Dolch Sight Word Games set. You can find the Alien Zap Dolch Word Games by clicking on the image below. 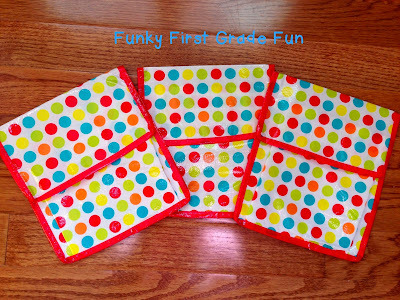 I also recently scored these polka dotted reusable sandwich bags at Target. They came in a pack of 3 for $1. Yippee! 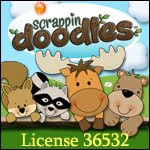 They are made of vinyl and have a velcro closure (easy to use and windexable - double yippee). 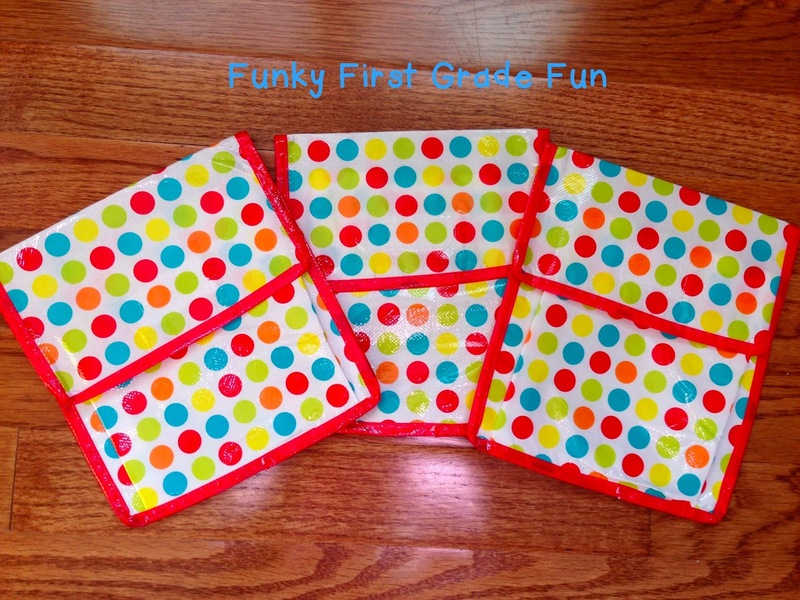 I'm going to try these for my new Funky Fun Vowel Games. 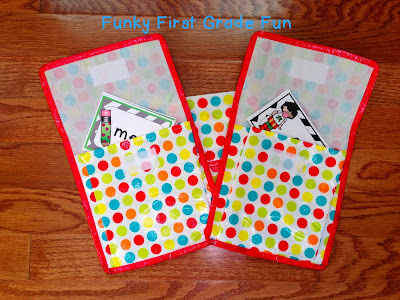 The bags are nice and thin, which would allow me to store lots more in each of the bins on my word work shelf. 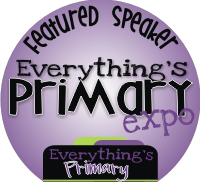 You can find my Funky Fun Vowel Games by clicking on the image below. 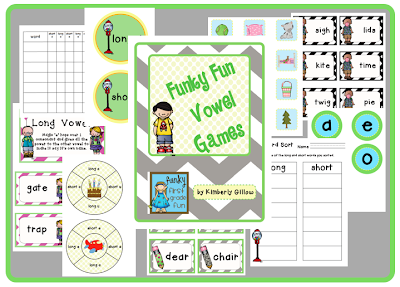 I have several short vowel products and long vowel products. There are 5 different games in this set. The games were made for students who are ready to sort long vowel words and pictures and for students who need practice discriminating between long/short vowels. Here are photos of 2 of the games. 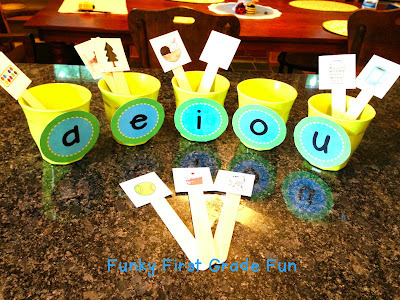 Vowel Sticks from the Funky Fun Vowel Games. 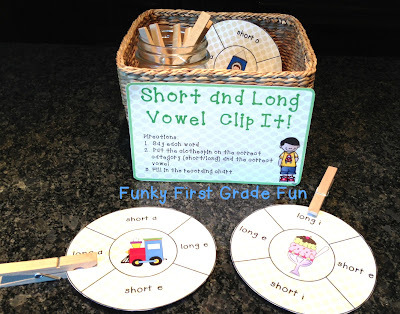 Short and Long Vowel Clip It! 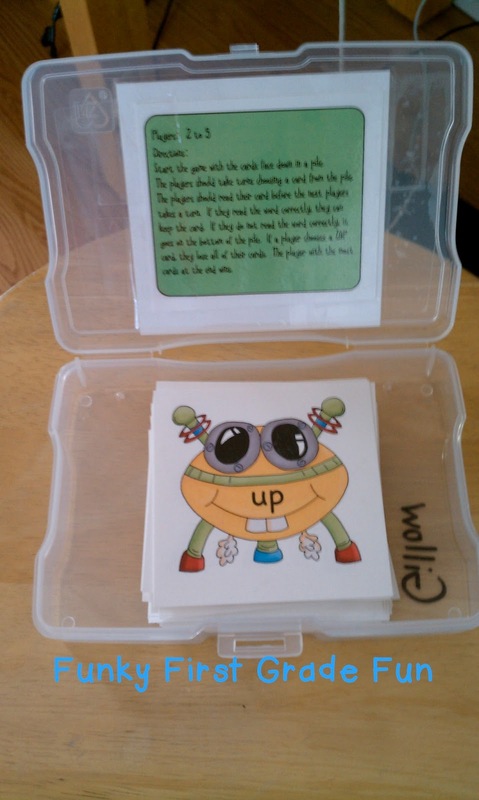 from Funky Fun Vowel Games. I'd love to hear about how you store your games. Still packing for that 17 day camping trip. Yes, I will have a shower, running water and electricity. But, doesn't 17 days in the woods still count as roughin' it? It does for me. 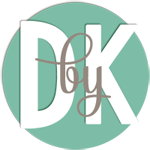 Are you following my blog at Bloglovin'? You can click on the icon in the top right corner to do that, just in case all this craziness is for real. And...please share how you store your games? I use photo storage boxes too! I just bought some pink ones Saturday as a matter of fact. I get mine at Michaels. The sandwich bag idea is cute though. I'll have to be on the lookout for those bags! I can't imagine camping for 17 days! Good luck with that! Thanks for the ideas, my binders are not cutting it. Thanks for visiting! I had major binder drama this year. My teammates talked me into using an assessment binder (instead of individual files for each student). Epic fail... In general I try to avoid binders. I'm jealous of those who make them work for so many things. I like the photo storage boxes, I don't think I have ever seen one of those before, but I haven't ever looked for one. I use the plastic index card holders for my card games. (In fact I have your Alien Zap game.) They are see through, but they are a little cheaper. I just bought some half price at Walgreens for $.50. I usually stock up on them when all of the school supplies are on sale. I like the sandwich bags. Those would be great for those odd-sized things. Your timing is perfect! This very night I was downstairs sorting through all of my math and reading games thinking "What is the best way to keep these organized?" Do you have one game per storage box? Do you keep all of a certain skill in a storage box? How many storage boxes do you use? Just curious! Thanks for sharing. Thanks for reading my post! Yes, I only have one game per box. I'm a freak about them mixing up the cards for games. :) On my special word work shelf, I have bins for different skills (short vowels, long vowels, dolch words, digraphs, blends, etc). There are several photo storage boxes (with one game in each) in each bin so that my kids have a variety of games for the skill they are working on. I am going to do a more detailed post about it when they let me reclaim my space. I love your ideas. You are so creative. I love your storage ideas, especially the photo storage boxes and those great polka-dot bags you got from Target. Thanks for sharing all of your ideas with us.